When a Nevada Hotel Casino’s Restaurant Row decided to shift from wireless pagers to SMS notifications for waiting patrons, the resort’s I.T. administrator needed an enhanced cellular connectivity solution for the densely constructed building. 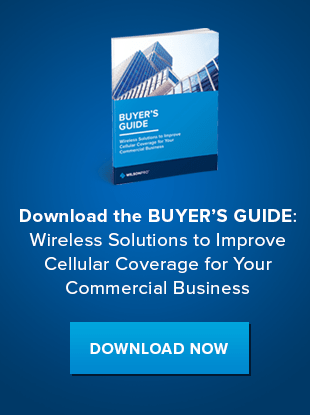 The administrator contacted the team at Powerful Signal, a Utah-based WilsonPro dealer, who recommended a WilsonPro cell signal booster system, or a passive DAS. This solution enhanced cellular service in a 40,000-square-foot area of the resort and allowed patrons to gamble in the casino as they waited for their table. 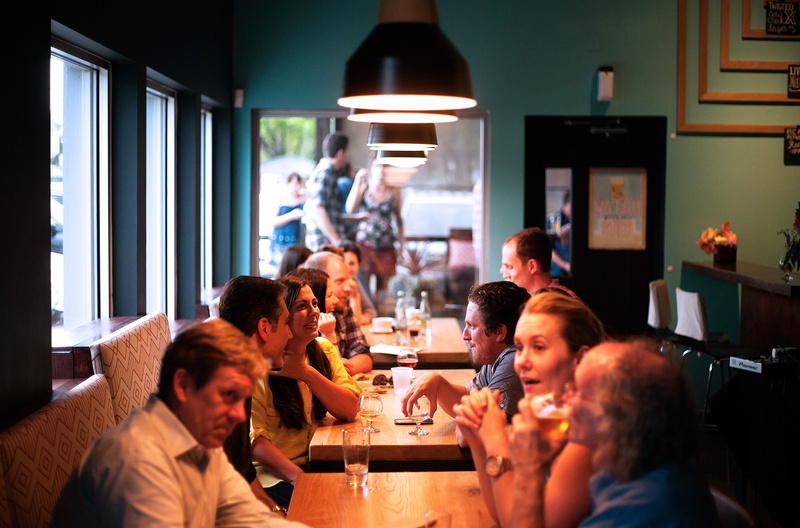 Waiting for an open table at a restaurant ranks among America’s least-favorite pastimes. On busy evenings, the entrances to many restaurants are jam-packed with patrons waiting to hear their names called from the podium. Some restaurants have turned to using electronic “table tracker” systems: They give each party an electronic paddle or disk that will buzz and light up when their table is ready. The patron has to hold onto the pager, and they can’t go more than a hundred feet or so from the restaurant or they risk being out of the system’s range. One of the largest resort hotel casinos in Reno, Nevada, has a “Restaurant Row” in the middle of their main floor, with four fine dining establishments, a buffet, a café, a wine bar, and a lounge. Casinos are among the most densely-constructed buildings, with concrete and low-e glass that block electromagnetic transmissions, and large, sprawling floors that connect the main casino room to other hotel amenities. The restaurants at this resort were using wireless pager devices to notify waiting patrons when their tables were ready. The limited range of the pagers meant that hotel guests couldn’t gamble in the casino while they were waiting for an open table. The resort’s I.T. administrator wanted to switch to a system that would use SMS texting to page restaurant patrons through their mobile phones. With this new solution, hotel guests could gamble or use any of the other resort services and still be notified when their tables were ready. But the resort had a significant problem: Nobody could get reliable cell service inside the hotel building. Without cell service, a phone-based paging system was useless. Powerful Signal, a Utah-based cell signal solutions provider, has designed, sold, and installed cell signal amplification systems for thousands of hotels, offices, schools, warehouses, government facilities, and other sites since 2007. The Reno hotel’s head of I.T. had previously purchased cell signal booster systems from Powerful Signal, and turned to them again for help with solving his paging problem. For this resort casino, Powerful Signal recommended a WilsonPro cell signal booster system that covered approximately 40,000 square feet of indoor floor space. Typically, Powerful Signal will design and install a custom WilsonPro solution, but they also offer direct sales to customers who prefer to manage their own installations. In this case, the hotel opted to have their own licensed, in-house electricians perform the install; their system is still covered by Wilson Electronics’ industry-leading three-year warranty on all components and Powerful Signal’s lifetime guarantee of free technical support for all systems they sell. The WilsonPro cell signal booster solution chosen by the Reno hotel resort enables not just their restaurant SMS paging system, but also provides strong and reliable cellular voice, text, and data to hotel patrons in and around Restaurant Row. The I.T. staff at the hotel have been so impressed and pleased with the results they’ve seen from their cell signal amplification system that they’ve ordered and installed seven additional WilsonPro systems from Powerful Signal for other parts of the hotel, and are planning to acquire four more by the end of 2016. Powerful Signal exclusively uses WilsonPro commercial cell phone signal boosters from Wilson Electronics, the leading manufacturer of cellular signal amplification technology. WilsonPro cell signal boosters significantly improve cellular voice, SMS, and 4G LTE and 3G data reception, and they work with all cellular carriers—a critical feature for a hotel whose guests bring their own mobile devices. With WilsonPro equipment, user load is never an issue: It readily handles high-traffic areas like restaurants and hotels. To find out how WilsonPro commercial cellular amplification systems can resolve the connection problem in your building, large or small, call Powerful Signal at (866) 912-3444 or visit PowerfulSignal.com and WilsonProWay.com.